Cleveland’s Trevor Bauer (47) throws against the Cubs during a game last season. Bauer will earn either $13 million or $11 million this season after he learns whether an arbitrator sided with him or the Indians in an arbitration decision.ion. CLEVELAND — The Indians and Trevor Bauer will find out sometime in the next several days who won their arbitration case to determine Bauer’s salary for the 2019 season. 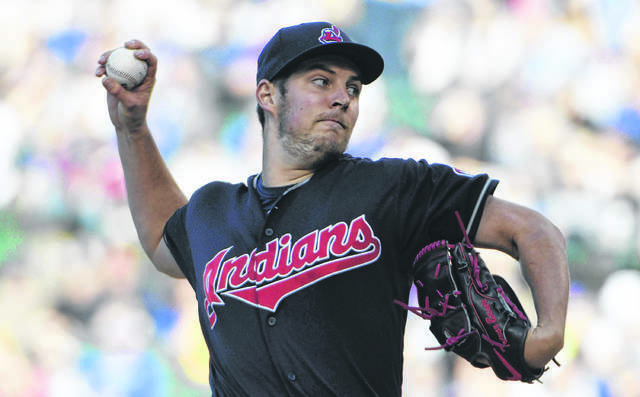 Bauer is the first Indians player to beat the team in arbitration since Greg Swindell i n 1991.
https://www.limaohio.com/wp-content/uploads/sites/54/2019/02/web1_05.23.18.indians.jpgCleveland’s Trevor Bauer (47) throws against the Cubs during a game last season. Bauer will earn either $13 million or $11 million this season after he learns whether an arbitrator sided with him or the Indians in an arbitration decision.ion.